A nest of caramel filled, cashew mylk chocolate owl eggs. Think burnt toffee, butterscotch and vanilla notes. Organic and vegan, this beautiful box of chocolates helps support the Great Forest National Park campaign. A cream-filled egg free from palm oil! 100g. Responsible packaging that is safe for home composting, so nothing need be sent to recycling or landfill*. Most cream filled eggs, even vegan varieties, contain palm oil. 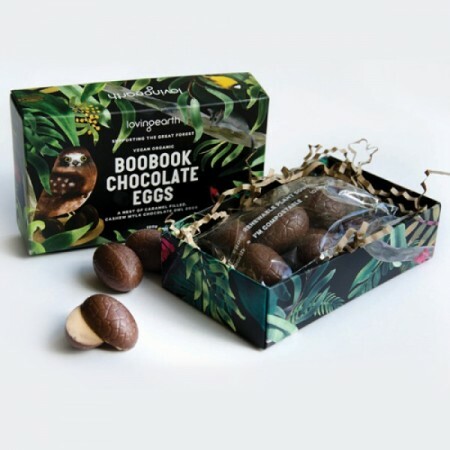 Avoid the destruction of palm oil with this delicious 100% palm oil free Easter egg. 50% cashew mylk chocolate, 50% soft caramel inner. Tasting notes of burnt toffee, butterscotch, vanilla, nut butter. Raw cashews* (28%), evaporated coconut nectar*+, virgin cacao butter*+, activated raw almonds*, raw cacao beans*+, coconut*, pink lake sea salt <1%. * Certified organic. + Certified Fair Trade. Contains nuts. 28% min cacao. Store below 18 degrees Celsuis. Browse our other organic and raw chocolate. super yummy and guilt free. a delicious treat for all ages. eggs do come wrapped in plastic but it is labelled compostable so will give that a go. 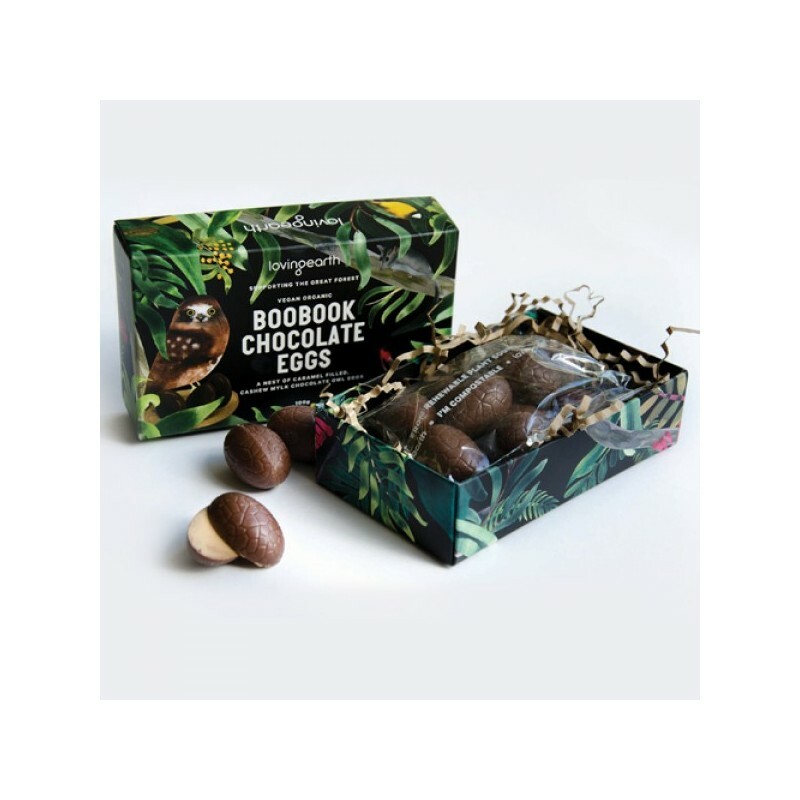 Delicious vegan easter eggs and palm oil free, win!